The film Rosa Luxemburg deals with an important period of German history. 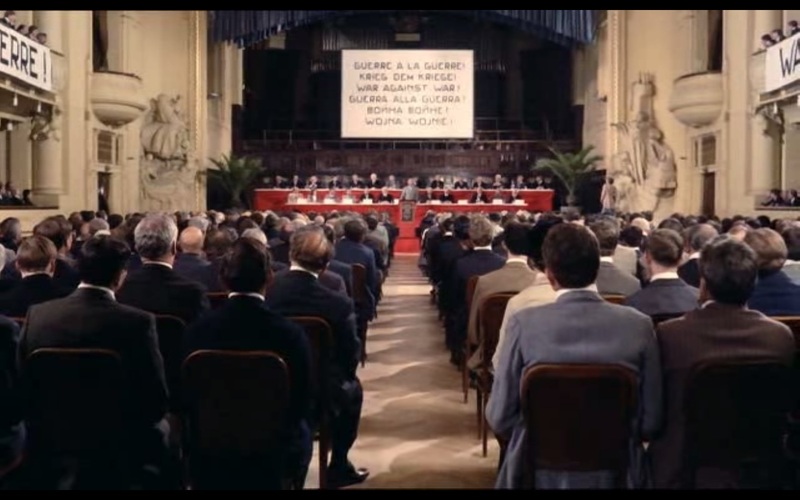 While the film is about Luxemburg herself, the important points of the film are really about the developments in German Social Democracy and Socialism at that time, although these were important themes for and were a major part of Rosa Luxemburg’s own life. At least that is the backdrop of the film. Much like the film Reds, the historical characters are the focus. The mood is also an important part of the film: the optimism shared by many characters that quickly fades to pessimism and confusion as the organizations like the Social Democratic Party begin to support Germany’s entry into WWI. The film’s focus did have it’s shortcomings, however. The two periods focused on the most in the film are firstly, Luxemburg’s involvement in socialist politics leading up to WWI and secondly her time in jail during the war itself. The Spartacus League was not a focus of the group, even though it was an important group in the history of the German Left. The Spartacist Uprising did play an important part towards the end, but it seemed a bit rushed in the context of the film that focused much on Luxemburg’s personal life. It is quite interesting to see important historical figures fighting personal battles in the film. For example even at dinner events, Luxemburg polemicizes against who she sees as “reformist leaders” who are not attached to the working class masses. While some of these scenes seem a bit forced, watching it with politics in mind can be quite helpful. Then again, films like this are usually watched by folks who are already somewhat interested in either in the particular kind of history being dealt with or in Left wing politics and theory. Besides the over focus on certain parts of Luxemburg’s personal life (it was a biographical film after all), it was refreshing to view a film that contained polemics by revolutionaries against those who were turning away from that kind of politics at the time. The split between Marxism and Social Democracy was an important moment for the European Left and particularly in Germany, where the SPD played a significant role in the promotion of Marxism and the working class movement itself. While the film only deals with a small part of the German Revolution, and important and overlooked event in working class history, it is still an important contribution and deals with a famous historical figure of the Left.